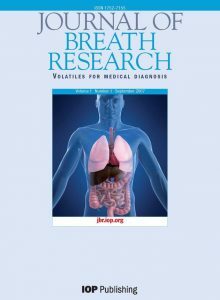 Breast cancer diagnosis and subtyping by analysing exhaled breath: A pilot study using a portable electronic nose (Aeonose®) Timmer-Bonte1, S. Grosfeld1, N. Seelen-Janssen1, L. Veenendaal2, F. Zijlstra3. Background: Analysing exhaled breath is a rapidly emerging field of medical diagnostics. Growing evidence suggests pathological conditions can cause metabolic changes in the body resulting in deviations in volatile organic compounds (VOC’s) in exhaled breath. 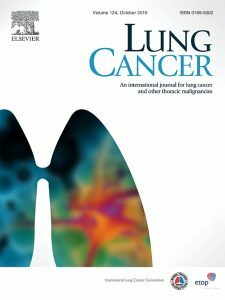 The hand-held electronic nose used in this pilot study is convenient to use and has already proven to be capable of distinguishing patients (pts) suffering from lung cancer and head and neck cancer from healthy controls. Advantages include non-invasiveness and fast results. The objective of the current study is to investigate if exhaled-breath patterns from breast cancer (BC) pts can be distinguished from pts with benign breast pathology or healthy controls. Methods: Female pts referred to our breast cancer hospital for screening or on suspicion of BC, were subjected to standard diagnostic procedures as per protocol (with a minimum of clinical examination, mammography and in case of BIRADS >2 biopsy). All pts were asked written informed consent for performing an additional breath test. Pts had to breathe into the Aeonose® device (made available for this pilot study by The eNose Company, Zutphen, The Netherlands) for a period of 5 minutes. Collected measurement data were compressed using a Tucker3 algorithm followed by neural network analysis. In this way, the electronic nose has been trained to distinguish between healthy and affected pts. Results: 185 pts were eligible; the majority was referred because of a palpable lesion or abnormal findings on mammography in the Dutch national screening program. In 56 pts BC was confirmed (biopsy or surgery). In the remaining 129 pts no or benign (e.g. cysts or fibroadenoma) breast disease (no BC) was diagnosed. Based on the measurement data of the VOC’s in exhaled breath, a ROC (Receiver Operating Characteristic)- curve has been created showing only a fair sensitivity and specificity of 68% and 64%, respectively. However, BC is a heterogeneous disease. Therefore, explorative analyses were performed. Indeed, no BC (n = 119) compared to either Invasive Ductal Carcinoma (IDC) (n = 38) or to Invasive Lobular Carcinoma (ILC) (n = 11) showed an improved sensitivity and specificity (IDC 71% and 55%; ILC 100% and 81% respectively). All analyses were cross-validated using a leave-one-out method. Conclusion: The high sensitivity and specificity values found for (the relatively homogeneous) ILC indicates this technology has potential for convenient, quick, and non-invasive screening of (a)symptomatic patients. Based on our experience we expect the ROC-curve to improve for IDC when increasing numbers in several pathological subtypes can be included. Based on these results we intend to perform a larger multi-centre trial as the Aeonose electronic nose could be a convenient and cost-effective screening test for both patient and staff.